Theology and the Scientific Imagination is a pioneering work of intellectual history that transformed our understanding of the relationship between Christian theology and the development of science. Distinguished scholar Amos Funkenstein explores the metaphysical foundations of modern science and shows how, by the 1600s, theological and scientific thinking had become almost one. Major figures like Descartes, Leibniz, Newton, and others developed an unprecedented secular theology whose debt to medieval and scholastic thought shaped the trajectory of the scientific revolution. 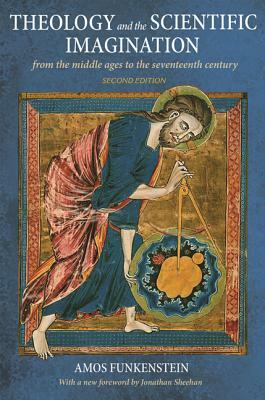 The book ends with Funkenstein's influential analysis of the seventeenth century's "unprecedented fusion" of scientific and religious language. Featuring a new foreword, Theology and the Scientific Imagination is a pathbreaking and classic work that remains a fundamental resource for historians and philosophers of science. Amos Funkenstein (1937-95) was the Koret Professor of Jewish History and University Professor at the University of California, Berkeley, and the Mazer Chair in the History and Philosophy of Science at Tel Aviv University. He authored seven books and more than fifty scholarly articles in four languages, and received the Israel Prize in History, the highest honor bestowed by the State of Israel. Jonathan Sheehan is professor of history and director of the Berkeley Center for the Study of Religion at the University of California, Berkeley.